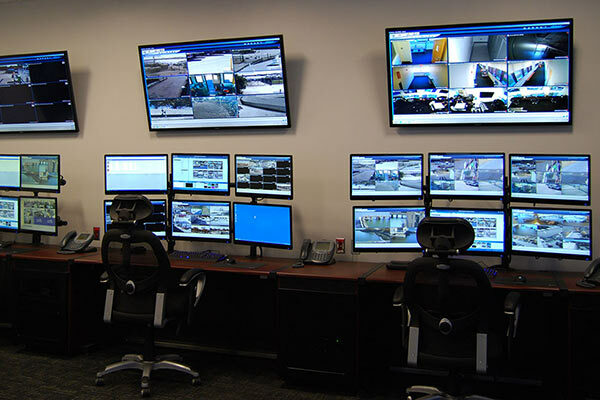 RGB Spectrum's security video wall solutions enhance situational awareness and improve collaboration, resulting in better decisions, faster. 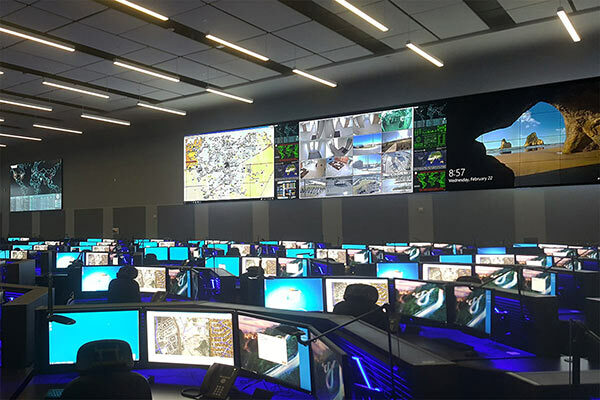 Scalable and versatile, our video wall processing systems support surveillance control rooms and command centers of any size, from single-operator stations to multi-site campuses. Designed to operate with 24/7 reliability, our solutions are highly secure, cost effective, and easy to implement. That's why we're chosen for mission-critical applications such as public safety emergency operations centers (EOC) and enterprise-level security operations centers (SOC). 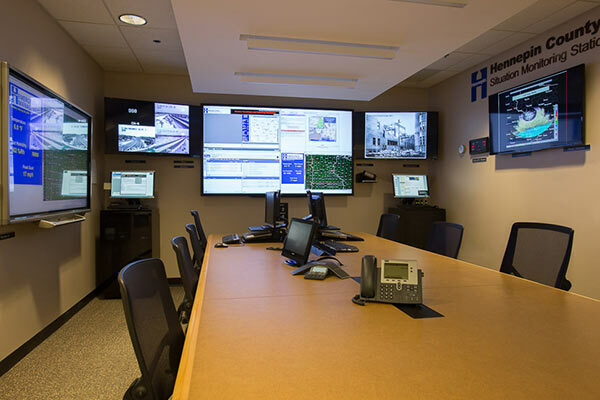 Control room management solutions enhance collaboration and simplify multi-user control of complex control room display systems in emergency operations centers, control rooms, and other mission-critical applications. The system combines a high-performance 4K multi-image video processor with remote keyboard/mouse control of connected computers. It can control up to four sources simultaneously in a variety of layouts on a 4K resolution monitor. Touch-enabled routing of audio and video with synchronized control switching allows quick access to any of up to seven computers. Our hardware based solutions keep source computers and system resources separated from both operators and from each other. This “air-gapped” level of security protects sensitive data from external tampering and network threats like malware and viruses. Our MultiPoint control room management system allows the unified display and control of systems that were previously impossible to integrate. This innovative security systems integration platform enables you to consolidate control of your video management systems (VMS), legacy DVRs, access control, life safety, building automation, GIS, call box, and/or any other subsystem in hours rather than weeks or months. Intuitive graphical user interfaces. Intelligent display of visual information. Single keyboard and mouse control of multiple devices. Improved situational awareness. It's that easy. Using intuitive graphical user interfaces we enable intelligent display of visual information. The ability to use a single keyboard and mouse to control multiple devices improves situational awareness.